Agility Fuel Solutions, a leading global provider of clean fuel solutions for medium- and heavy-duty commercial vehicles, has now set its eyes on the India commercial vehicles market. In an exclusive chat with CV Magazine, the company made public its plans of entering into a strategic alliance with Advantek Fuel Systems to provide compressed natural gas (CNG) products and services to the Indian commercial vehicle market. 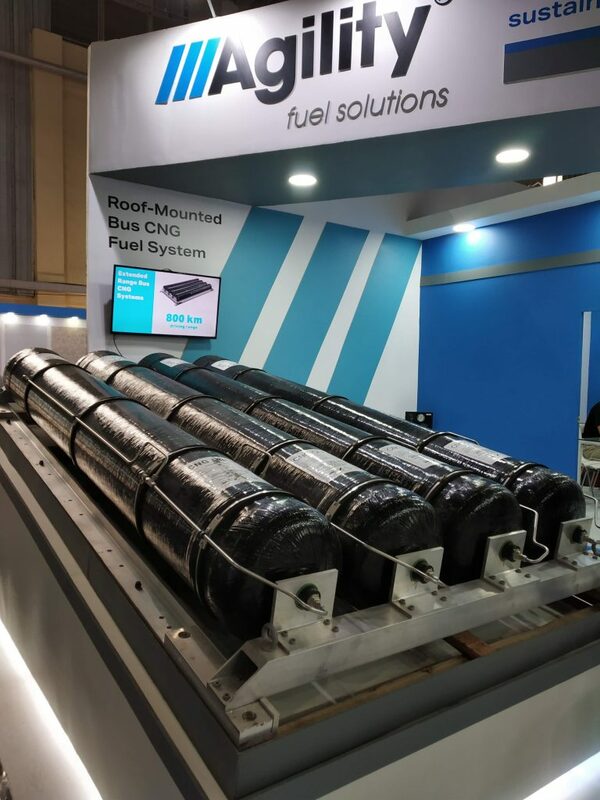 Agility Fuel Solutions together with Advantek Fuel Systems will work together to supply the Indian market, a range of natural gas vehicle solutions, including CNG storage systems for buses and trucks based on Agility’s Type 4 composite CNG cylinders. The two companies together are also claimed to have the capability to develop and certify natural gas engines for commercial vehicles and to provide vehicle integration and engineering support, installation of natural gas engines and fuel systems, and after-sales service and support. Averred Vishal Singhal, founder and Chief Executive Officer of Advantek, “This partnership will bring great technology advantages to the Indian market, and will help make CNG the fuel of choice for commercial vehicles.” “We are excited to bring Agility’s market-tested, high-performance, and cost-effective technology to India and to open up more of the transport market to CNG, ” he added. Mentioned Eric Bippus, Agility’s Senior Vice President – Sales & Marketing that the company was equally pleased to partner with Advantek. “We are pleased to partner with Advantek. Advantek’s longstanding relationship with bus and truck manufacturers and engineering, integration and support capabilities will be key in driving further adoption of CNG in the bus and truck markets, ” he said. Agility Fuel Solutions is a leading global provider of clean fuel solutions for medium- and heavy-duty commercial vehicles. Its product offerings include natural gas, hydrogen, and battery electric energy storage and delivery systems, Type-4 composite natural gas cylinders, propane and natural gas fuel systems, and propane dispensers. Agility offers solutions for a variety of vehicle types, including Class 8 trucks, refuse trucks, transit buses, school buses, concrete mixers, and delivery trucks. Agility has been manufacturing and servicing safe and reliable clean fuel solutions for commercial vehicle fleets and OEMs for more than 20 years, logging billions of miles on the road per year. On the other hand, Advantek Fuel Systems is dedicated to the development, integration, and supply of advanced high-performance alternate fuel systems for transportation and industrial applications, including compressed and liquefied natural gas and liquid propane solutions. With reliability and safety in the forefront, Advantek has been customising its solutions for over 13 years for the best fit for various markets such as on-road four-wheelers and three-wheelers and off-road machines and stationary gensets. Advantek’s customer base includes most of the leading original equipment manufacturers (OEMs) in India. Advantek has one of the largest service networks in India that is claimed to be making advanced technologies easy to adapt and serve in the field. Watch the exclusive chat on our YouTube channel and don’t forget to subscribe!